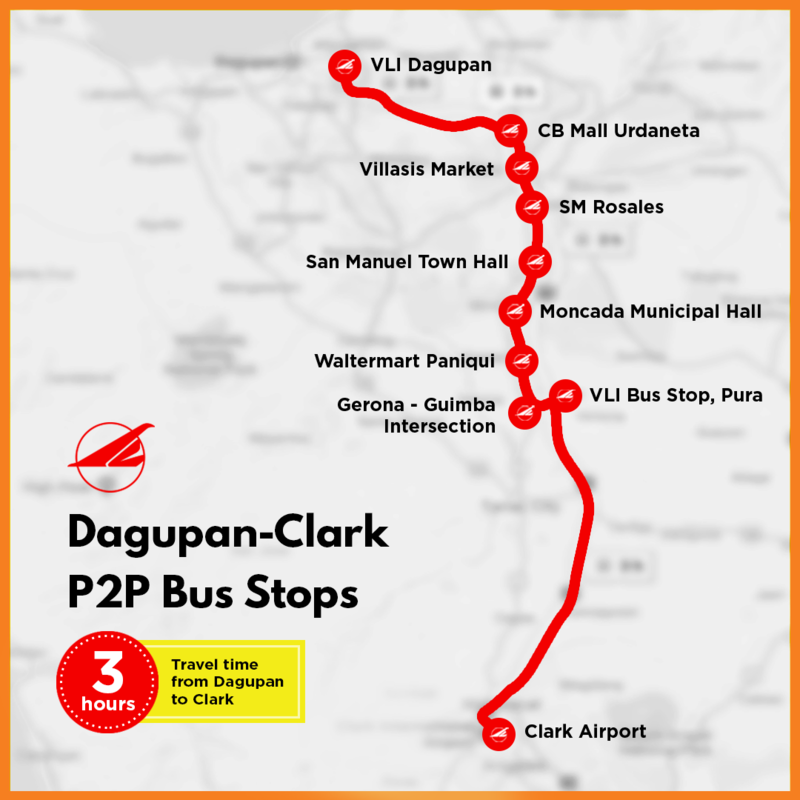 Are you headed for CLARK AIRPORT from North Luzon? 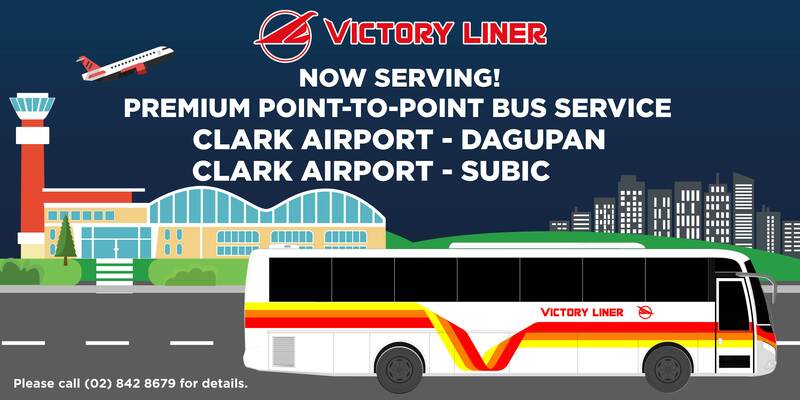 Or are you arriving at CLARK airport and going home to Pangasinan or Zambales? Good News! 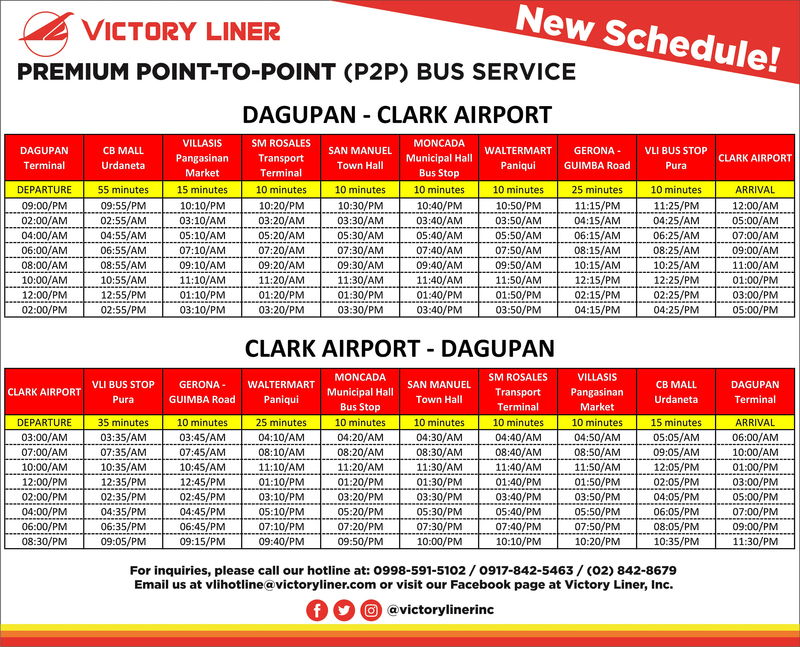 Next week our Premium Point to Point bus service from Dagupan to Clark, and SUBIC to Clark will be available to serve you! 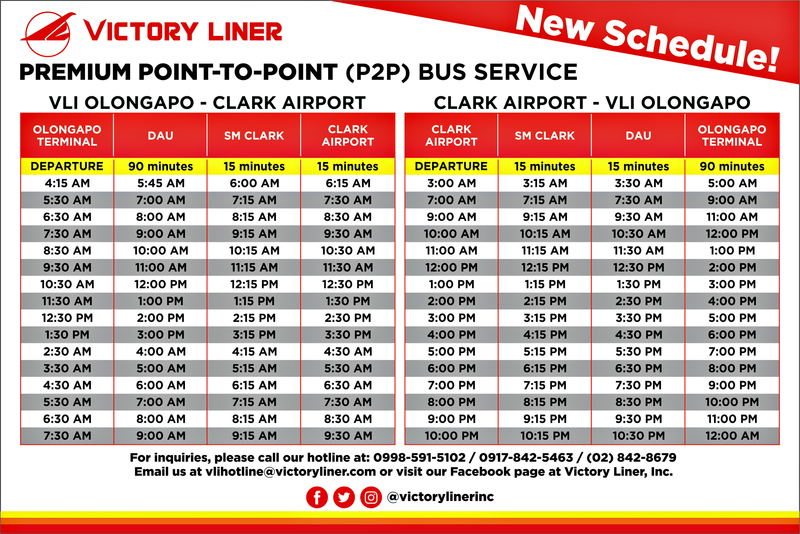 Follow us on Facebook @victorylinerinc to get the latest announcements regarding our P2P service.